Along the banks of the Wekiva River, there is a place where peace meets tranquility, and that place is Acuera in Lake Mary off Markham Rd. Please enter the gates on the timeless red brick streets to your new home, securely tucked between hundreds of acres of surrounding trees and state preserve. Completed in 2015, your new custom home is amongst 38 total homes on minimum 189; acre lots. Please enter your home through either your oversized 3 car garage, or the brick paved front walkway with curved Mediterranean-style archways. An Entertainer 8217;s dream, with open floor plan and soaring ceilings, huge 69 x 119 island, touchless kitchen faucets, dry bar, double oven, stainless steel appliances, cabinets and closets galore! Extra bonuses include 3 zoned AC, double pocket doors to huge laundry room, granite throughout kitchen and bathrooms, certified energy efficient double paned windows and of course our state 8217;s top rated Seminole County schools. After a long hard day at work or kayaking down the Wekiva River from your community 8217;s private dock, unwind watching the nightly sunsets on your back covered patio with panoramic view of endless trees and pond, then retreat to your large owner 8217;s suite with his and hers bathroom and walk-in closets, or unwind in your master tub or dual entrance, frameless shower. On the other side of your over 3,500 square foot home, your family/friends can choose 1 of 3 additional suites with private bathrooms and walk-in closets. Come see all this special home has to offer. HUGE PRICE REDUCTION! CUSTOM ONE OWNER TRANQUIL ESTATE sits on secluded private lot with circular driveway (just under 1.5 manicured acres). Enjoy the best of both worlds with country living viewing the scenic wildlife in your backyard, but yet so close to the city. Interior of home boasts 5 Bed/4.5 Baths with 4497 heated square feet, making it great for a large family. Many architectural details & interior design shows it as One of a Kind & relish in the spacious open kitchen, large master suite with over-sized master closet & bath, & beautiful wood burning fireplace. Entertaining becomes a breeze with the expansive lanai, enormous pool, & spa. The backyard features many citrus fruit trees & wooded lot. 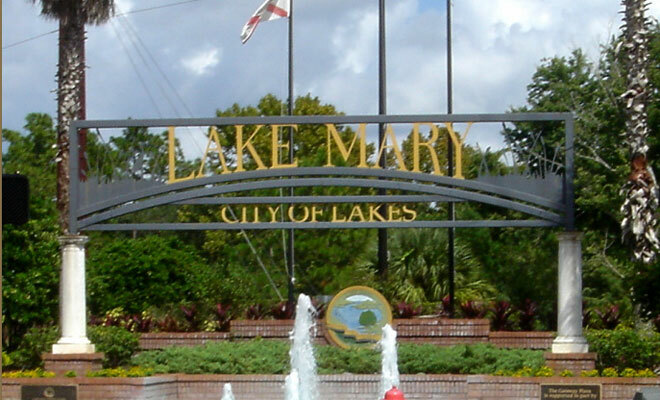 Convenient location to I-4, shopping, restaurants, & much more. A FABULOUS Home is now available 8230;. 6 BEDROOM/4.5 BATH Home plus BONUS ROOM & RESORT POOL! Located on a quiet CUL-DE-SAC on a 189; ACRE Park-like Lot, in the in the heart of Lake Mary; this home has been maintained in excellent condition offering Florida Living at its finest. The Split Floor Plan offers 4 Bedrooms (or Optional Office/Nursery) & 3 Updated Baths on the Main Level along w/Formal Dining Rm, Living Rm, Family Rm, Kitchen & Laundry Rm. Upstairs is the Generous Bonus Rm along w/ 2 Additional Bedrooms complete w/ 1 189; Baths. Spacious Kitchen w/custom wood 42 8221; cabinetry, GRANITE countertops, breakfast bar, island, stainless appliances & attached Dinette Area 8230;flows into the lg. expansive Family Rm w/French Doors & wood-burning Fireplace; all overlooking the pool. MAIN FLOOR MASTER SUITE w/Stunning Updated Bath featuring Granite Counters, free standing Tub, Lg Shower & exceptional design applications. The Outdoor Oasis of the Screened Lanai & Pool w/Stone Waterfall feature overlook the peaceful Back Yard. 44 x16 Covered Paver Lanai w/ Stone Bar & Summer Kitchen 8230;perfect for Entertaining. Home is loaded with upgrades & design features including: wood floors in all main areas, plantation shutters, built-ins, crown molding, tray ceilings, oversize side-entry 3 CAR GARAGE, New whole house Generator, 2 Tankless Water Heaters, Newer AC Systems & much more. Great location near restaurants, shopping, DT Lake Mary, SunRail, I-4 & 417 8230;.this is a Must-See home 8230;you will love it!